IN the face of talent shortage, an ageing workforce and digital transformation disrupting everyday work, strategic human resource management has become more important than ever. Studies show that Singapore, like other industrialised economies, has struggled with talent scarcity over the past decade. 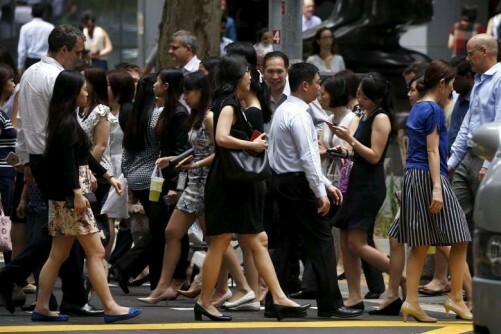 In its 2015 talent shortage survey, Human Resource consulting firm ManpowerGroup revealed that 40 per cent of employers in Singapore report talent shortages. This should come as a wake-up call for organisations to carefully evaluate their talent management strategies. How does your company attract, manage and retain talent? The goal of modern-day talent management has to be the recruitment and development of a diverse workforce, with a clear vision of leadership in place. It is about making diversity and inclusion a business imperative and strategic priority. At Henkel, we consider our diverse workforce and inclusive culture to be key factors for the company's global success. Operating in three business units (Laundry & Home Care, Beauty Care and Adhesive Technologies), Henkel employs people from 125 nations in more than 75 countries. More than half of our 50,000 employees worldwide are based in emerging markets and 33 per cent of our managers are women. Diversity enables us to leverage our knowledge, creativity, different insights and experience to turn good ideas into great innovations. In other words, this is not a "soft" topic; promoting diversity is a business-based decision that will lead to a competitive advantage. Embracing people's differences will spark innovation and help to meet the needs of customers and consumers around the world. In order to excel in a highly competitive environment, companies need teams to reflect the diversity of a market and its target groups. In fact, a joint diversity report by the National University of Singapore's Business School and BoardAgender found that companies with a more diverse workforce outperformed other firms by nearly five times. However, it does not stop at just employing people with different backgrounds. Inclusion is about putting this diversity into action, enabling employees to complement one another and to form stronger and, ultimately, more successful teams. How do we implement this? It starts with respecting individual differences. This will create a corporate culture in which all employees feel valued, and that their contributions are appreciated - regardless of their cultural background, gender, education, religion, or sexual orientation. Everyone is responsible for his own inclusive behaviour. Nevertheless, management plays a crucial role in leading by example and fostering an inclusive culture. It is therefore essential that leaders understand and actively support a company's commitment to diversity and inclusion. We are convinced that diverse teams stimulate innovation and new ways of problem solving; yet they need an inclusive leadership to help them function at their best. A company's success is built on effective human resource management. Committing to diversity and inclusion will be vital in today's ever-changing and competitive business landscape - to explore untapped talent pools, fully maximise the talent on hand, and successfully retain talent in the long run.